The fruit cocktail is a great way to satisfy your sweet tooth and put to silence whiny kids around you. It is an easy to make dessert that has been a part of our kitchens since a very long time. The cake is made without using any oil so you have no fat and calorie issues here. Preheat your oven so that it is warm when you place the cake to bake. Grease the baking pan so that the cake does not stick to the bottom and comes out easily. Now it is time to prepare the batter. Take a large mixing bowl and put in the flour, white sugar, egg, baking soda and vanilla. Open up the can of the cocktail and pour the contents into the mixing bowl. Do not drain the liquid of the cocktail. Mix all the ingredients well to make a consistent batter. The quality of your cake depends on the content and quality of your batter. 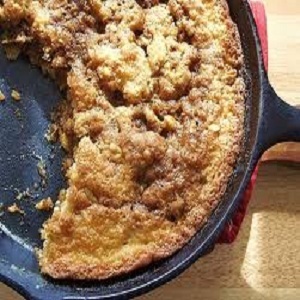 Sprinkle some brown sugar over the top of the batter when it is ready to be baked. Place the baking pan in the oven. Bake for forty minutes or until the cake has turned brown on the top. Put a toothpick in the middle of the cake. If it comes out easy and clean, the cake is ready. Let it cool for ten minutes and then place on a wire rack. Make yourself a steamy cup of coffee and join the treat.